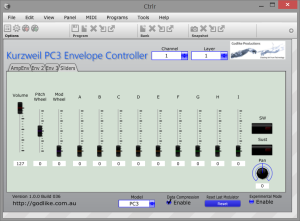 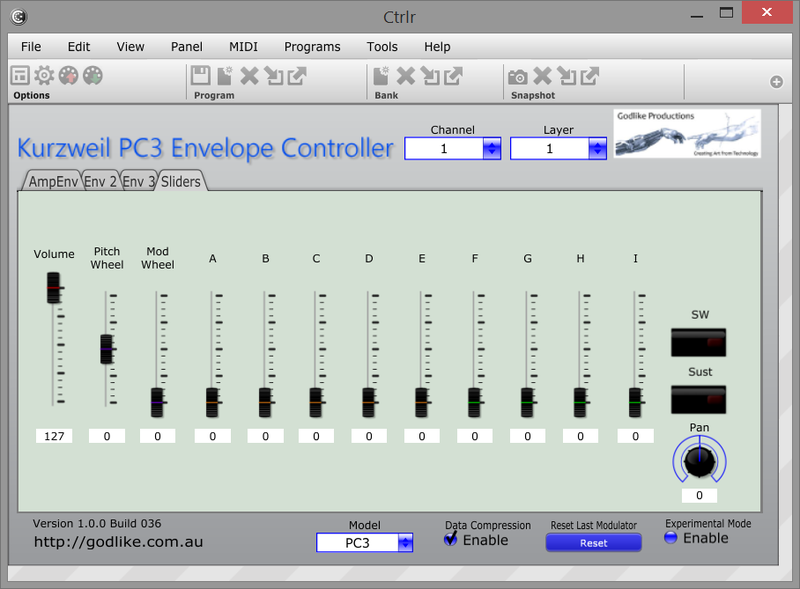 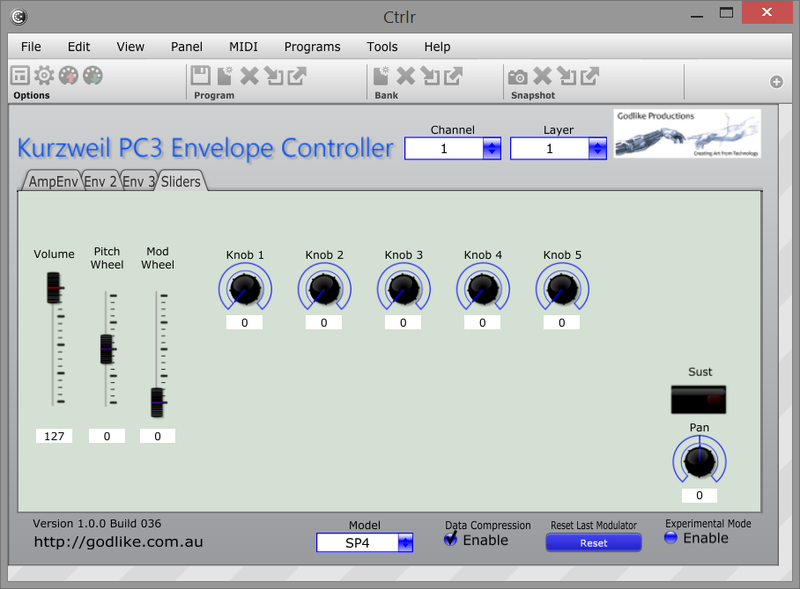 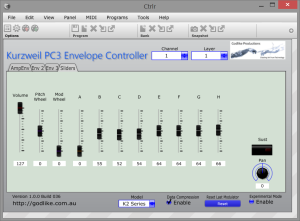 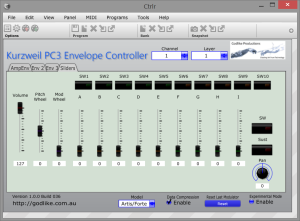 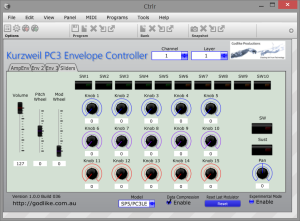 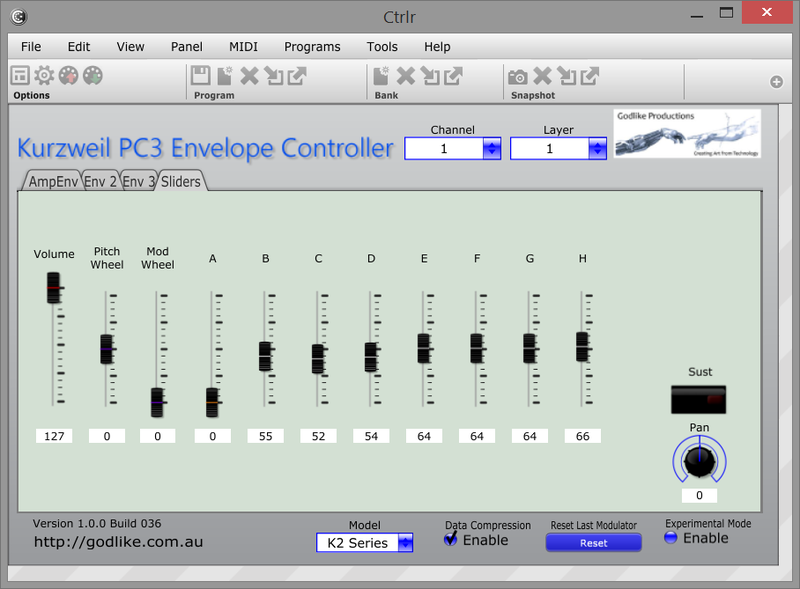 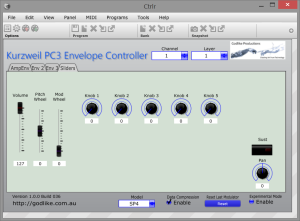 This panel allows for direct control of the PC3 (and later synths) envelope parameters using the same type of messages used by the official PC3 Editor. 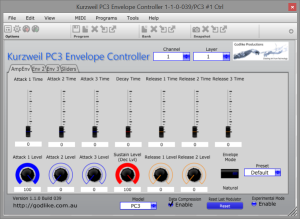 Support for the standard panel controls for most Kurzweil synthesizers from the K2000 is also provided on the Controllers tab. 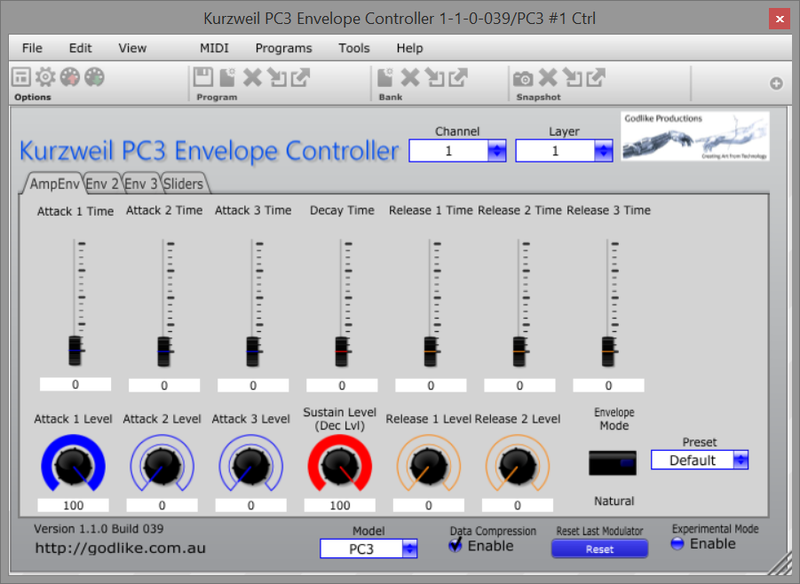 Further details are provided in the manual available with the plugins from the link below. 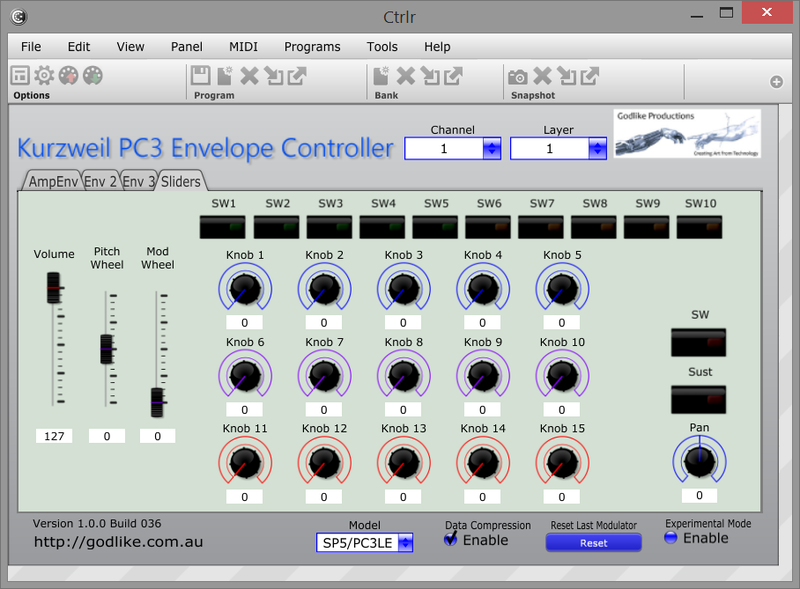 can i download and try it? 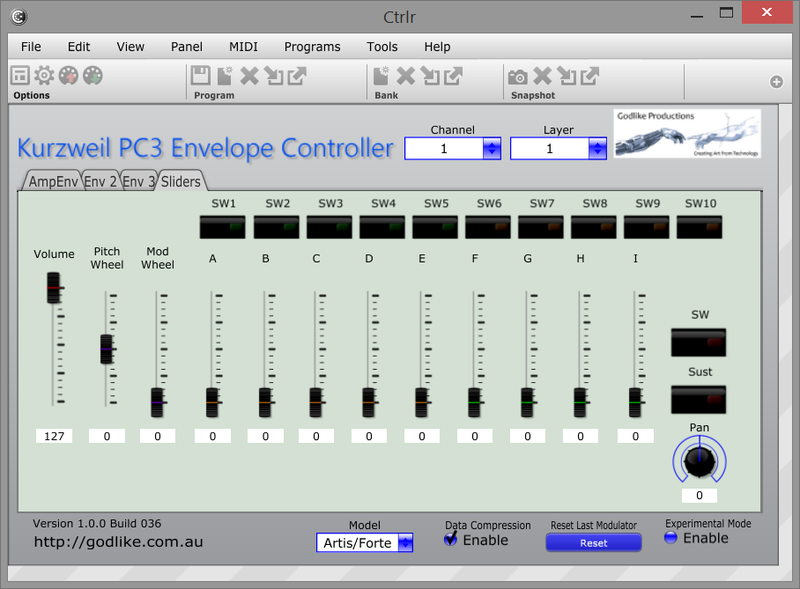 Yes, the link has been updated, now that we have moved our website to a new host.